Forest Grape once famously said, "Springtime and Upper Shirley Vineyards go together like peas and carrots." He was certainly right about that – he was right about a lot of things, come to think of it – and folks are already taking Forests' advice by running or riding out to our lawn to soak in this weather, sip in some of our award-winning wine, feast on some of Chef Carlisle's culinary mouth-sterpieces, and relax by the rolling river. And boy-o-boy, do we have some exciting events on the docket for you, including new vineyard adventures, new outdoor weekend tunes, al fresco dining on the patio, new wine, more prix fixe dinner dates (now with live music), online wine sales and more! Let's get to it, shall we? Picnic-style al fresco dining on the lawn every weekend: This weekend, and every weekend this spring (weather permitting), we'll be offering food and wine on the lawn for al fresco dining! Flippin' good grilling under the tent (traditional menu still available inside), live tunes on the terrace (May lineup has posted), outdoor bar on the patio, gorgeous springtime weather, and views for days. Bring your blankets, bring your lawn chairs, bring lawn games and board games and any other leisure game you can think of (keeping your neighbors in mind - we've got wine to worry about here! ), and let's set up riverside on the plush-green grass to enjoy this spring weather in style! New spring menu will be finished cooking by this afternoon! What new wonders might Chef Carlisle dream up this time?! Maybe Spring gnocchi with white wine and garlic cream, spring peas, asparagus, mushrooms, pea tendrils, thyme, & parmigiano reggiano.. or possibly soft shell crabs?! What about pan-fried chicken?! Guess we'll find out soon enough. Check the Restaurant Page and facebook for updates soon. The Petit Verdot varietal spent nineteen months in the barrel to release a bold tannic finish with a dark fruit nose – it's Tayloe's new favorite, and after one taste you'll know why! Online sales now available through our website to (shipping limited to Virginia residents only)! Whether you're in need of some delicious wine for a fancy wine party or a lazy spring afternoon at home, we've got you covered. Click here to view our selection. Upper Shirley's wines now available in select restaurants throughout Greater Richmond! Unfortunately, we can't all feast on Chef Carlisle's delicious food all the time. But if you can't make it to his latest Prix Fixe dinner and wine pairing, you can now do the next best thing by pairing our wines with a darn good local dish. 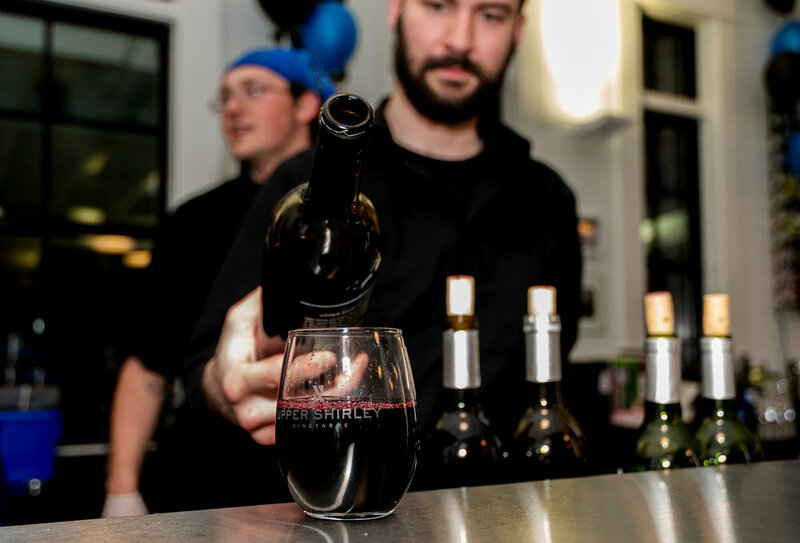 You'll find select Upper Shirley bottles being served in Acacia, The Roosevelt, Wild Ginger, Azzurro, Mosaic, Shagbark, and South Bound, with many more locations to come! Now offering historical horse rides through the vineyard with the help of Two River Trails! 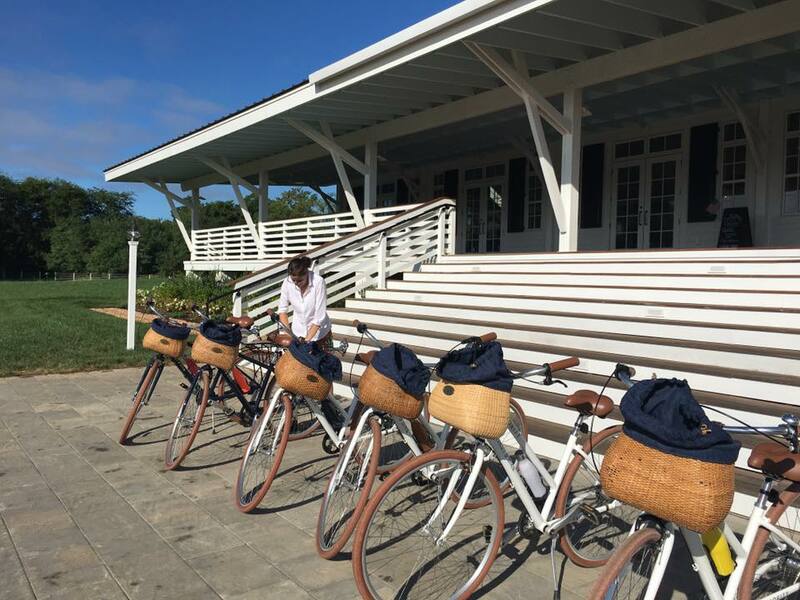 Each hour-long ride meanders through Upper Shirley's vineyard and surrounding trails as your guide walks you through the vineyard's history, the process of grape-growing, and the roll Charles City and Upper Shirley had to play in America's past. Included is a complimentary wine tasting to be enjoyed after the ride. $75 per person. Available all week, 9:30am - 3pm. Reservation only (link here). Follow signs for 'Horse Play' to reach the stables. welp, that about does her, wraps her all up. More adventures and updates will be coming around the bend. And we'll be sharing them with all of you, just as soon as we can get to the social medias and all that. For advanced updates, I'd check on the events calendar or main page announcements, or, better yet, follow us on instagram (@uppershirley) or facebook. You could even call us up if you have any pressing questions, or if you want details on booking private events in the banquet room or dinner for friends, or even –– aww, look at me. I'm rambling again. Well, I hope you folks enjoyed the update. We'll catch y'all later on down the trail.